Organisations that works for informal economy workers’ rights are very needed in today’s world. Labour at Informal Economy (LaIE) in Bangladesh, is a membership-based umbrella organisation, which includes four types of informal economy workers and street vendor is one of it. LaIE consists of 7 executive committee members 5 of whom are women. LaIE unites 3,550 street vendor members: 800 are female and 2,750 males. 50% of the members belong to young age group ( from 18 to 35 years old). LaIE has 5 street vendor affiliates organisations around the country. LaIE in its turn, is affiliated with Bangladesh Free Trade Union Congress (BFTUC) and also is a member of the Bangladesh Occupational Safety, Health and Environment Foundation (OSHE). LaIE supports street vendor affiliates at local level through advocacy, lobbing and bargain with local government, addressing the urban rights, capacity building program through training, awareness raising and sensitization programmes on various rights of street vendors, networking and lobbing action at National and International level for promotion of decent work. In the month of August 2018 when students’ protest took place, Bangladesh Government started to put even more blame on street vendors about the traffic. LaIE leader, Kamal Siddiquinotes that: “It is not street vendors that make traffic jam, it is many transportations at time on the streets”. 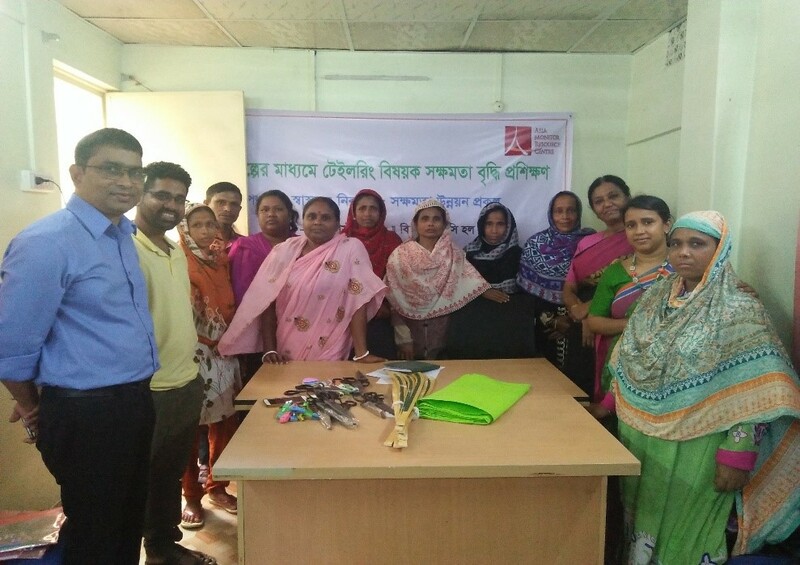 LaIE is also associated with one it kind a Social Solidarity Economy project called, “Housing Project”, in Narayangonj (a city in central Bangladesh), where street vendors have been covered by this project. Two land owners came forward to give 50 plots from 600 plots to street vendors at half the price of a plot. LaIE and land owners had meeting with Labour Minister asking them to do something about street vendors who might take plots. Labour minister promised that department will provide 3,00,000 BDT ($3579.1) loan and four rooms can be built. 2 rooms will be for owners and 2 rooms can be given on rent. Through rent, they can pay instalments as well. Nearby this project other livelihood are coming up too and such as goat rearing, dairy etc. Overall, LaIE has been taking step forward with actions aiming to provide support to all its members.